Tips and tricks from packing experts! Packing your luggage is one of the most challenging parts of traveling. Therefore, if you're in need of some guidance, here are four Preview editors who will show you how to ace your packing woes. From their world travels and experiences, they've essentially figured out the science of stylish packing. The Solution: An extended vacation with the hubby and kids in tow needs a capsule wardrobe you can dress up or down. "Packing is always an epic exercise for me, and begins long before—on Evernote. When I have enough outfits from mixing and matching, I lay them flat on the bed to check if their color story works. I work a wardrobe of basics around trendy pieces. (The example at right is part of a sportif theme I planned for a three-week family vacation to the U.S.)"
Tip #1: Pack wrinkle-proof clothes. "Wrinkle-proof clothes like denim, knit, neoprene, leather are the cornerstone of a traveling wardrobe. I detest ironing, so to minimize creases when packing, I lay everything flat in my suitcase, one piece on top of the other, filling in the crevices with smaller items like T-shirts, chargers, etc." Tip #2: Lay low on packing accessories. "When traveling with kids or during winter, I’ve learned to pare down on jewelry, favoring necklaces and earrings and wearing them throughout the trip." Tip #3: Utilize balikbayan boxes. "Limited luggage allowance puts a damper on a shopping spree. A shopper kind of traveler like me needs foresight—and a balikbayan box service (find one through the local Pinoy community, or check LBCExpress.com). I send back used clothes (store your cashmere in Ziploc bags with a bar of the hotel soap inside to prevent moth damage) and shoes, plus bulkier home accessory purchases via B-box." Tip #4: Leave some space. "I try to leave Manila with enough space in my luggage for purchases. 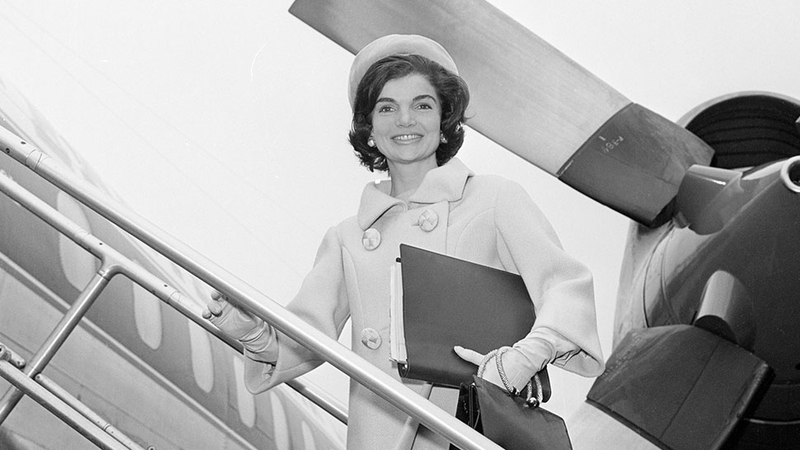 On this trip, I did not pack heels because I knew I was going to buy a pair—okay, I bought, er, six." Tip #5: Wear your heaviest pieces. "Planning a winter wardrobe means you need to be strategic—and realistic— about how much you can carry. Layering is the best way to stay nice and toasty. Wear the bulkiest pieces (i.e., boots and coats) when you’re on the move, so you don’t have to double down to zip up your suitcase." 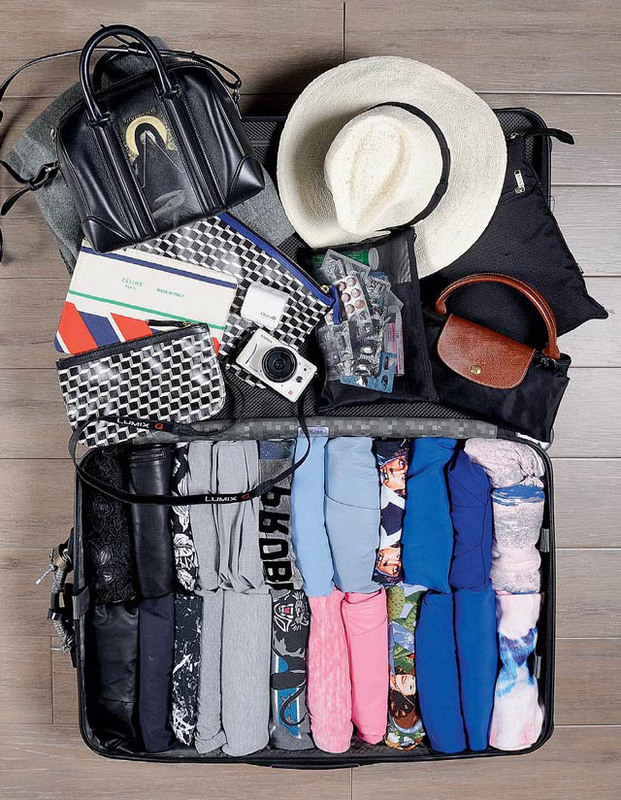 "For short trips, there’s enough luggage space to plan an outfit a day without repeating clothes. To maximize space on lengthier ones, I create a wardrobe plan with different outfit combinations on Evernote. I hate rigidly planned itineraries, so I make sure to plan for a variety of occasions." The Solution: Fashion week calls for strong sartorial building blocks that can create not only one but multiple clothing choices. "I won’t lie. I really do pack for Instagram. And I would never say, 'Oh, this outfit? I just threw it on' because I style, strategize, and pre-execute for every trip. I try on a head-to-toe look, photograph it, then save it in my phone. If it’s a 14-day trip, I will have 14 complete outfits. My technique, however, uses wrist skills on top of all that calculation. I roll and rearrange clothes into lines. It’s a dexterity I learned from my mum. I have tried folding, trust me, but so far I’ve found that this form follows the best function (in terms of using all available space, that is). I’d like to think that my mum knew best—and also because I feel that bundling things feels more compact—that’s how I roll. As for the wrinkly byproduct of all that rolling? A high-temp treatment for all the high fashion care of my trusty portable steamer." Tip #7: Strategically repeat clothes. "Each packed item gets double exposure, which significantly reduces the volume of clothes needed by half." Tip #8: Pack extra bags. 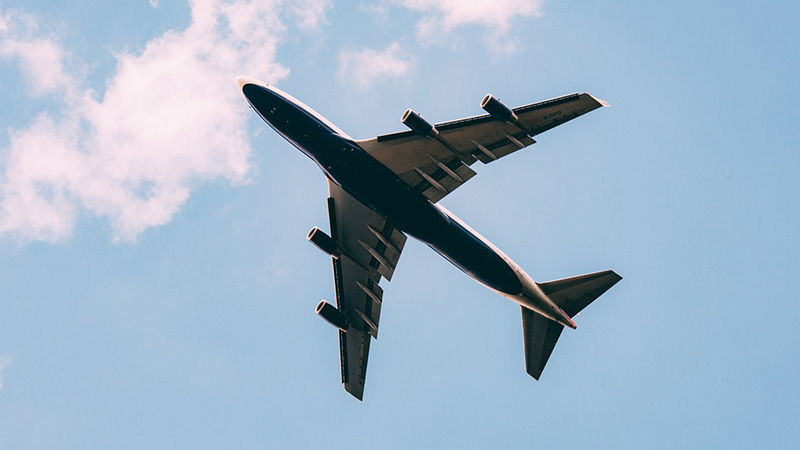 "Because the total baggage allowance is not confined to just one checked-in luggage, I always tuck in two packaways for unforeseen (yeah, right) shopping: an extra-large duffel that I’ve nicknamed hotdog, and my giant Longchamp Le Pliage." Tip #9: Keep all valuables in your carry-on bag. "Things that I’m afraid to lose (well, that would be everything, really, so I just prioritize) are in my carry-on luggage. This includes my favorite handbag, my evening clutches, and my gadgets. A classic example of why this is important was when my then-boyfriend, now husband hid my engagement ring in his checked-in suitcase on our way to Barcelona—and we lost our luggage. We got it back the same day, though, and he proposed on the next. We were lucky, but not everyone with missing trolleys gets a happy ending." Tip #10: Bring a power strip. "Things I learned from Vince Uy: A power strip with multi-sockets equals only one adaptor for all gadgets. Do the math." Tip #11: Bring two practical footwear. "I always bring two flats—sneakers and boots (for all the walking)—and a pair of heels (for events). The heaviest one, like my Acne boots, I don’t pack but wear in-flight instead." 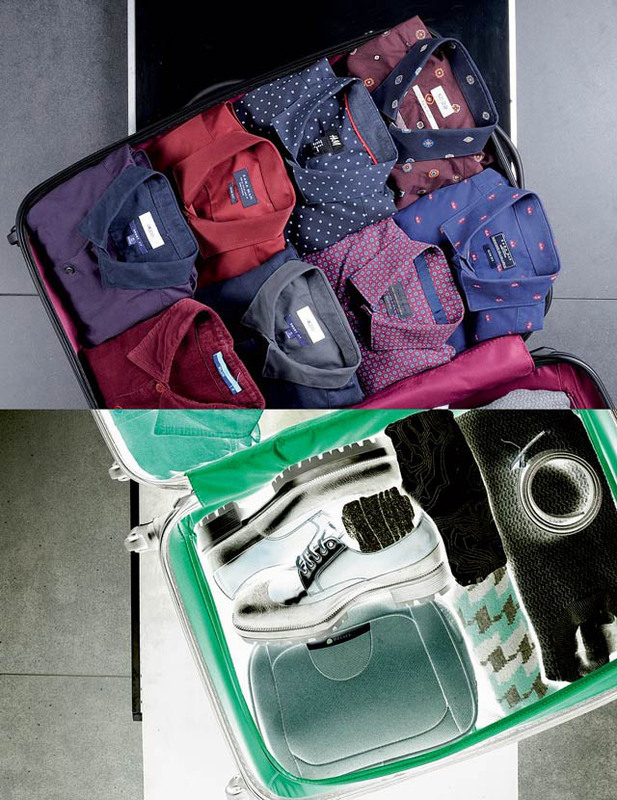 The Solution: Somber but surprising color combinations inject a dynamic energy into business trips. "I always get so excited with the idea of packing for a trip. I enjoy organizing what to bring as much as I love creating detailed travel itineraries." Tip #12: Color-scheming always work. 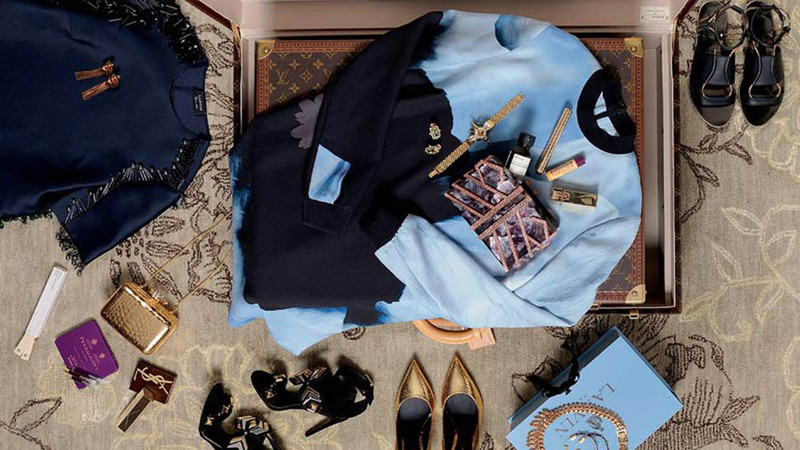 "When I pack, I usually work with a specific color theme. Do I do blacks and grays, or browns and neutrals? In this case, I decided to work with blue and berry tones. I find that sticking to a color scheme makes it easier for me to mix and match all the pieces that I’ll be bringing." Tip #13: Bring pieces you can dress up or down. "I always bring items that can easily transition from day to night, or from casual to formal. Like a gray blazer because they make you look more presentable when traveling, especially to strict immigration offficers. Meanwhile, a chambray shirt is a fail-safe shirt that I bring to all my trips. I love that I can incorporate this into so many varied looks. And for a stylish versatile piece that will work in any weather condition, be sure to pack a leather jacket hoodie." Tip #14: Bring space-saving envelopes and wallets. "I keep my money and travel files in a small envelope and a small wallet, and bring a bigger wallet for foreign currencies. I also bring a foldable headset." "Instead of bulky pouches, I bring resealable bags to store accessories." Tip #16: You'll need a good garment bag. "Invest in a good quality garment bag. It will protect and take care of your favorite power suit. And don’t we all need that when we need to seal the deal?" "I always bring extra pairs of socks for filling uneven spaces inside my luggage, or stuffing them into shoes to keep their shape." Tip #18: Utilize the boxes of new purchases. "When I buy new shoes, I utilize the box by putting smaller, fragile items inside—DVDs, scented candles, perfume, and even belts. You’ll be surprised at the number of items you can fit in. Just make sure you have the right amount of cushoning." 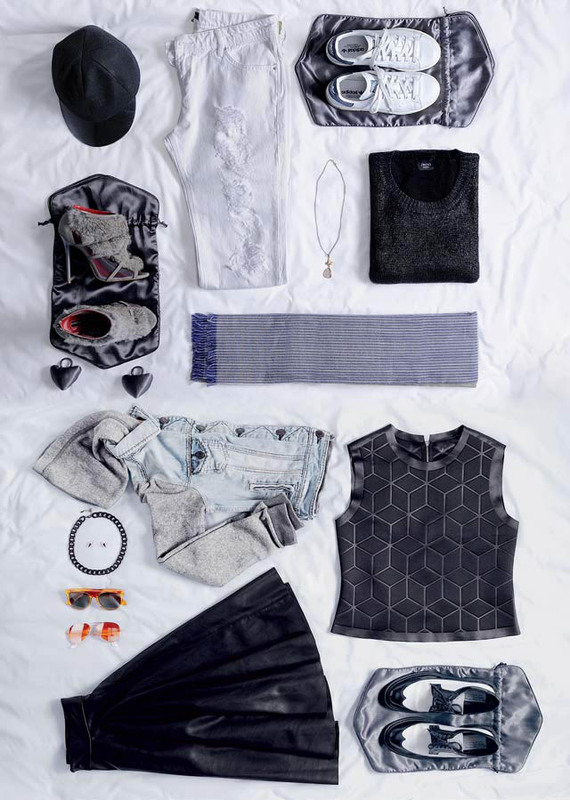 The Solution: Hitting the hotspots in any urban destination requires both day-tripping and night-prowling outfits. "When traveling, I prefer to reserve spontaneity for the free hours in my itinerary, not for dressing up. Together with restaurant choices, outfit options are thought of and reserved well in advance, both for day and night. Tip #19: Mind the dress code in places you're visiting. "In an Evernote chart, between rows that detail the places I’d like to visit, are 'day' and 'night' outfits that consider the appropriate dress code for each travel stop. Loose dresses or skirts in neutrals or blue (my only color), preferably with pockets to stash money, a hotel key card, and nothing else (I loathe to be saddled with a bag while walking), and comfy flats are perfect for puttering about during the day; while slinky dresses and killer heels are apt for dinner and drinks at any checklist diner’s dream du moment. As for nighttime heels, the higher, the better—by the time the bartenders and I are fast friends and they’re spilling their locals-only secret haunts, I am giddy and immune to the discomfort of stilettos, thanks to a bevy of cocktails—and an exhilarating stash of both sun-dappled and nightfall #OOTDs in my iPhone." Tip #20: Edit your wardrobe. "Here's a quick guide on what to remove and put on. 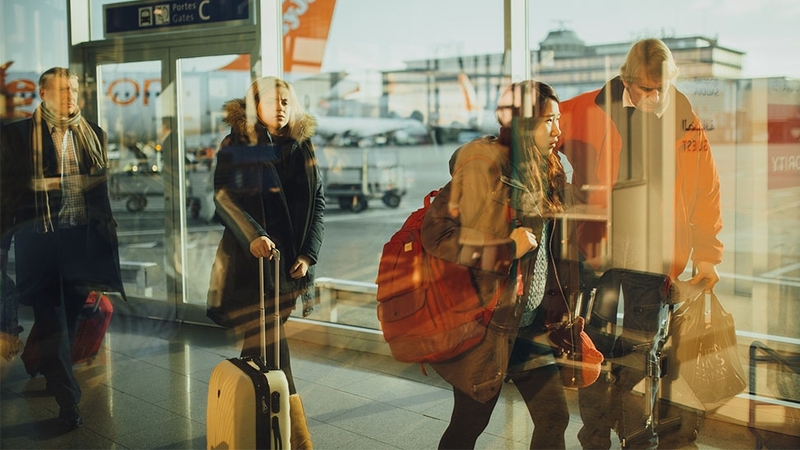 "ON: Throw on a chic jacket over your flying outfit right after touchdown to make a good—and fashionable—first impression at immigration. Also, don’t forget to remove your sunnies while you’re next in line, jetlagged peepers be damned. "OFF: Any accessory that closely resembles a weapon catches the eye of an airport official. In Hong Kong, I forgot to remove a rifle necklace by Michelline Syjuco—it was confiscated and the delay nearly caused a missed flight. Though fashion is undeniably a weapon, it’s best to style yourself on the side of caution abroad." Tip #21: Consult the web for traveler-approved itineraries. "Travel books are so last season—visit the web instead for up-to-date intel. A few faves include TheGuardian.com’s lifestyle section for London, Cnntraveler.com for just about anywhere else, EatThisPoem.com for food-obsessed book lovers, and 12hrs.net (condenses cities into half-day itineraries)." 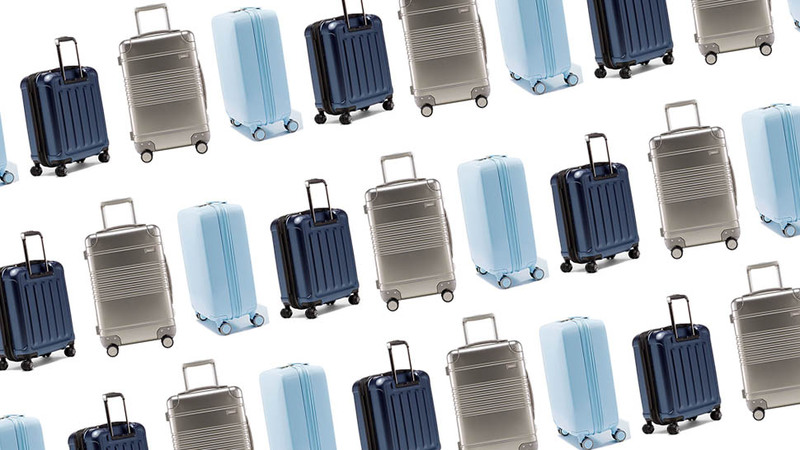 Tip #22: Put one small luggage inside a bigger one. "I pack everything in a small suitcase tucked into a bigger one. I like to shop for homeware on a trip—a hard case, rather than a foldable bag, gives my purchases proper protection." Tip #23: Pay attention to necklines as much as hemlines. "If you’ve got a short 'do, crewnecks, turtlenecks, and deep V-necks set it off to optimum effect." Tip #24: Bring a room scent. "I love returning to a well-scented home. Just because you’re away doesn’t mean you can’t indulge in this pleasure. Bring a room scent to personalize your digs abroad." Tip #25: Thoroughly choose your accessories. 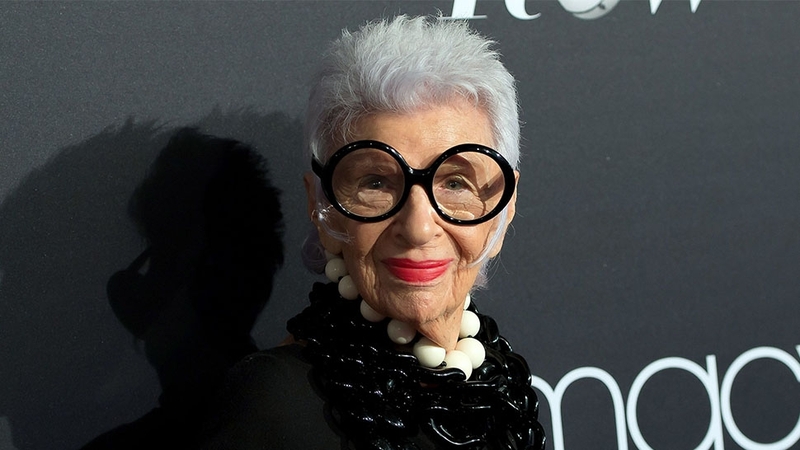 "Statement earrings are my vice, and in the same way some pack shoes, I’m known to pack more than what’s necessary. Be finicky and pack less than what you set out." This article was originally published in Preview Magazine's May 2015 issue.